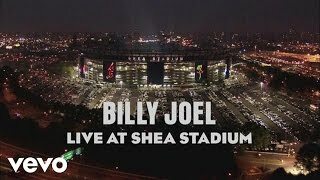 Two New York icons meet for one final time in The Last Play at Shea, which chronicles the intersecting histories of the landmark Shea Stadium and the legendary performer Billy Joel. An engaging look at the highs and lows of the New York Mets and the music career of Joel, The Last Play at Shea interweaves interviews with player and performers with exclusive concert footage from the goodbye performances in July 2008. New York City serves as a background for those who were there - including Sting, Christie Brinkley, John Mayer, Garth Brooks, Tony Bennett and others - to share their stories of these electric summer nights. The film, narrated by New Yorker Alec Baldwin, also highlights a special performance by Paul McCartney.